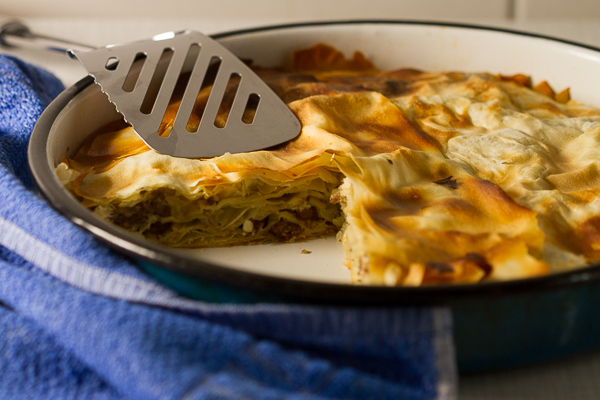 Ground beef phyllo pie. 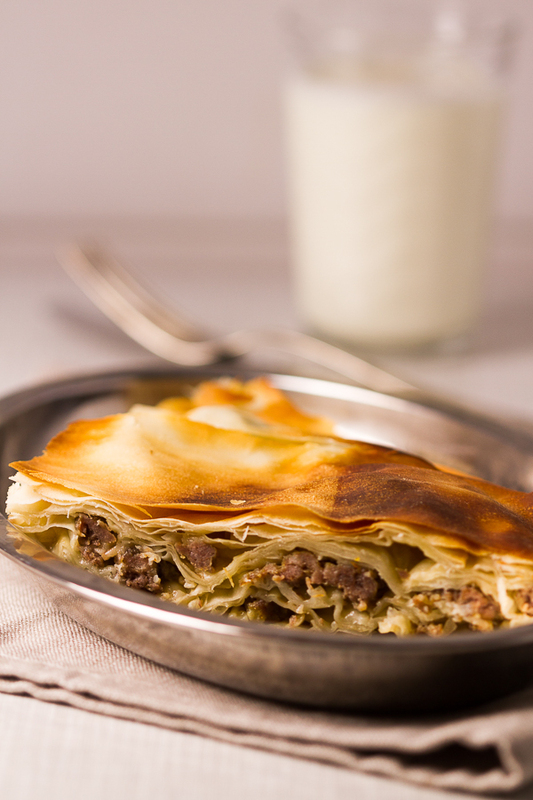 Ground beef (or veal) layered in phyllo sheets softened with butter, then baked until golden. Much pie. No fuss. 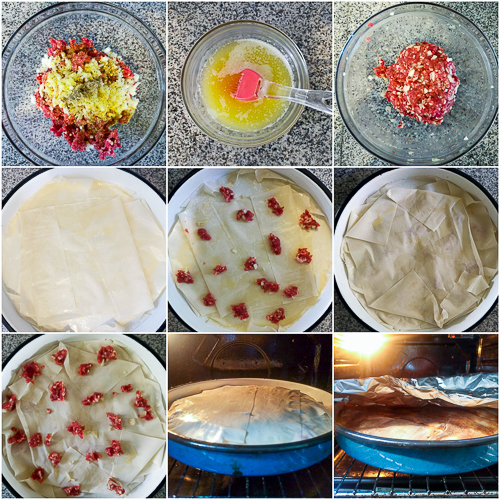 Ever since I learned to make pie rounds with store phyllo, that’s usually what I do when I’m making a quick one. Sometimes I line them up like cigars. (Unless I’m making the cheese pie.) So it occurred to me that we’ve never done a meat phyllo pie layered horizontally. 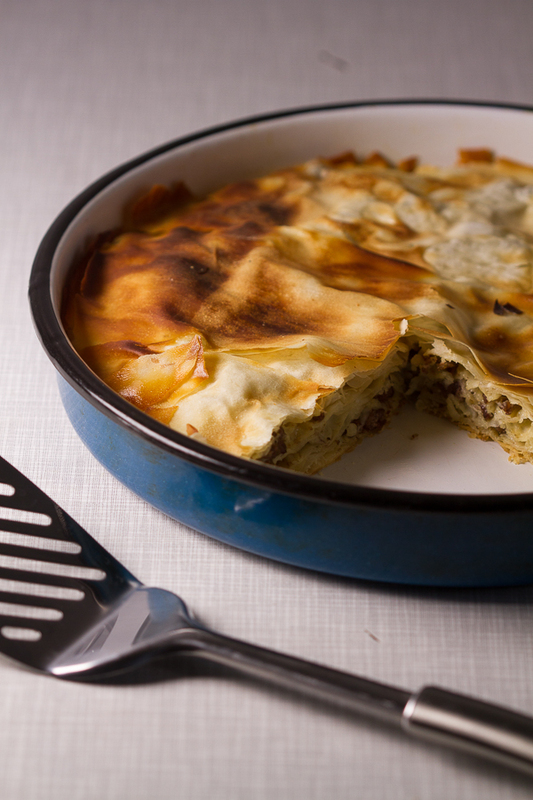 Pita (pie), as you may know, is one of the first dishes you’ll encounter in the Balkans. How is it made? Well, first the thin dough is made (or in our case taken out of the box), it’s filled with different fillings (meat, cheese, vegetables), and baked. Every culture has a similar recipe for some type of flour+filling concoction. Pita is sold everywhere in the bakeries but don’t buy it there. Regional bakeries are great for breads and crescents, but most produce subpar pies. Instead, go to one of the many places called ‘Buregdžinica’, as they specifically make just pie in all shapes and forms. I like to dip my pita yogurt (fluid, European kind) or kefir, and make a simple salad to go with. Like most meals, I pregame pitas with soup. Here we continue with a refresher of recently translated recipes. As mentioned, all recipes have been translated into Bosnian. While it may not benefit you directly, here’s a quick review of some of those dishes with a description. Maybe you’ll want to make some of them soon. Conventional Balkan 3-level (crust-filling-crust) apple pie. Made with ingredients you’ve already got in the kitchen (butter, apples, walnuts). Just 40 minutes from start to finish, this one is a perfect tea companion. 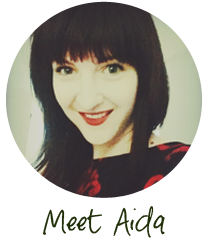 Here I spill Aleksandra’s secret to perfect homemade coconut raffaello balls. Milk, sugar, vanilla, coconut and butter are the main ingredients. This is the surest way to 50 raffaello balls from heaven. Or as I’d like to call them, baklava’s pretty cousin, is another conventional regional dessert based on walnuts and sugar syrup. Quicker and easier to make than baklava. Like baklava it has a strong, unforgettable taste. Beloved family favorite. Three softer crust layers, smothered (in the best way) with apricot (or plum) preserve. We top it off with a chocolate glaze and end up with a perfect 6-layer cake-like dessert. Not for the faint hearted, this mousse is the real deal. Made with organic fresh eggs, the mousse is the smoothest, quickest way to appease your chocolate addiction. Rinse your glass. Repeat. If you love strudel, if you love pastries, if you love bread-anything, then you’ll adore this plum jam strudel. Your dough skills will graduate to the next level. And your family will love you for this. This cake is a point of pride for all of us as it’s been passed down from our grandmother. Mom makes it, so do Aleksandra and I, and soon my niece will too. As will you once you realize what a perfect cake this is. My niece’s favorites. She’s a teen and hard to please, so that should tell you enough about the taste. They’re your most simple, most delicious, butter+flour cookies. Easy to make, and even easier to eat. Made with dough similar to the sugar cookies above. But it’s the shaping and jam that make them stand out. Generally not a fan of drier cookies, I can eat at least twenty of these in each sitting. Quick walnut energy bites with something like two ingredients. First you make the world’s simplest cookie batter, then shape little balls, and finally watch them as they become domes during baking. Crunchy, healthy, sweet. This was a mistake. A great mistake. We were going for something different, and out came these. If you have 30-min, and want something chocolate-y with a chance of egg-white glaze, this dessert is all you. How do I describe these? Soft. Crunchy (they have a walnut inside after all). Gummy. Delicious. Sweet. Nutty. Snack-y. Make the filling by combining meat, onion, oil and seasonings in a large bowl. Mix well with your hands until integrated. In a small pot, combine oil and butter and heat on low until the butter melts. Oil a pan (12 inches, preferably round), and layer two to three layers on the bottom of the pan painting each with butter and oil. 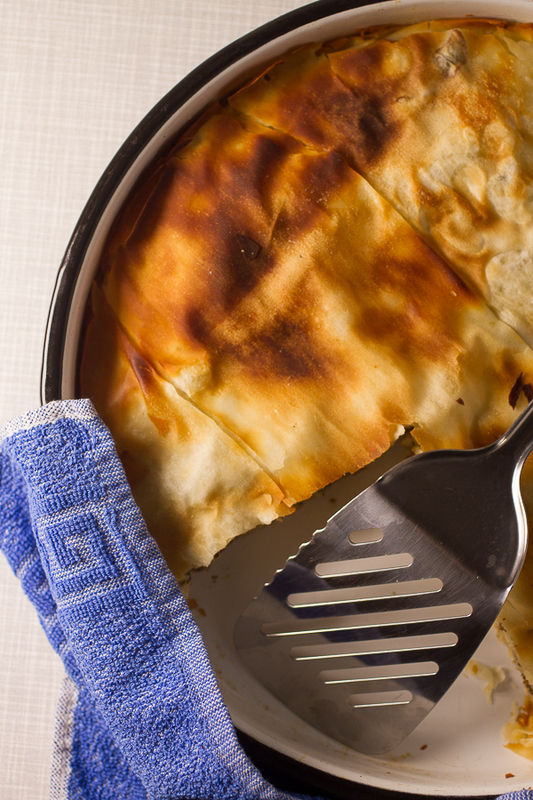 (If your phyllo sheets are larger than the pan, cut them so they fit. One sheet may end up being more than one layer for you.) Take two handfuls of the filling and spread over the top in small chunks. Top this with two layers of phyllo, painting each layer with butter and oil. Again take two handfuls of the filling and spread over the top in chunks. 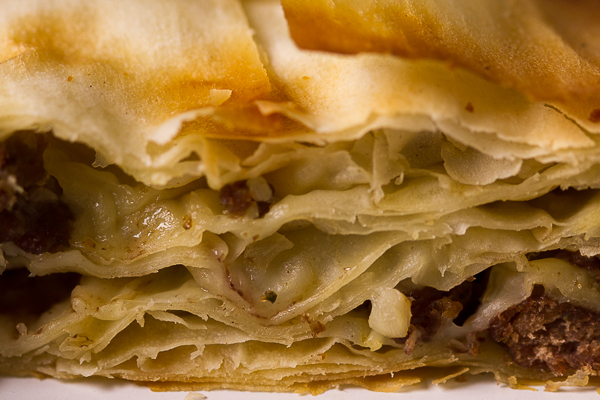 Repeat until you run out of materials, making sure to keep three layers of phyllo for the top. Heat oven to 480°F. Place the pan in the oven and bake 5 minutes. Lower to 390°F and bake 10 more minutes. Lower to 350°F and bake final 10 to 15 minutes. 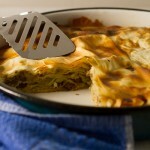 Rotate the pan once or twice during baking, and if the phyllo starts to blush, cover with foil. Serve warm with yogurt or a salad.